As a newcomer to the world of e-commerce, one of the toughest hurdles is getting people to visit your online store and to ensure that they come back. Because the Internet is such a vast global space, you can expect stiff competition from the thousands of shops whose goods are similar to yours. 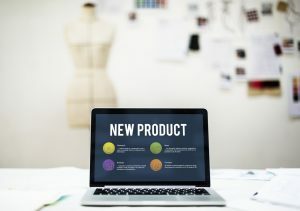 Even if you do present unique and customized products and services, this is often not enough to attract attention and get consumers to “see” you. That said, you will need to be more proactive with actionable strategies that will not only generate traffic but see high conversions and actual sales. Unlike a brick and mortar store, you will not get to have a conversation with your visitors as they walk around and browse. With an online store, you will not only need to present great deals but also show them off in such a way that is visually appealing and easily navigable. We’ve heeded the advice of some top online sellers in Australia and found these eight nuggets of wisdom on how to make your online store more popular. 1. Write more than just your product descriptions. Don’t just rely on the product descriptions you attach to each item and pray that Google crawlers will recognize your site and list you on the front page. Include interesting articles and tips on how to use your products. By doing so, you establish yourself as an authoritative source on this specific niche, making it more likely for people to trust purchases made at your store. Writing product descriptions with proven benefits is one example. Let’s say you are selling baby food. In addition to the bullet descriptions, include helpful content on different recipes you can make out of a particular organic ingredient or bottled food. If you’re selling baby clothes, list suggestions on pairings or the types of occasions where the clothes may be appropriate. Include photos with the tips to make it more visually appealing. 2. Start a blog on your site. A social following is important to any online store because this pool is where your first customers and first brand evangelists will come from. When you set up your e-commerce site, find a way to insert a blog category, where you can frequently post product highlights, tips, and other features related to the items and services you are selling. Consumers tend to respond better if you post content frequently and engage them in conversations. Plus, this gives Google a chance to assess your site better and gives you more opportunities to be listed on the front page of searches. 3. Gain leverage through Pinterest and Instagram. Pinterest and Instagram are two of the most popular social media channels where people turn to look for visual inspiration and tips. Going back to selling baby food, you can leverage your social media presence by putting together a series of photos on Pinterest or Instagram that show step-by-step instructions on preparing more delicious recipes with your product as the base ingredient. Level up on your photography skills for this part because these sites are all about photos and presentation. 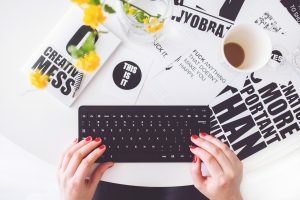 Of course, how you phrase your captions matter, as well, so be sure to include key phrases and words to give Google something to assess and crawl on. 4. Use the Facebook Sponsored Content feature. Facebook’s Sponsored Content feature is a great way to reach your specific market easily. As an online store, your goal is to gather as many pairs of eyes as possible and direct them to your actual website. Set up an official Facebook page and then invest in Sponsored Content (it has a minimal charge). You can limit who can see your promotional post according to age group, gender, location, time, and more. Be sure to include nice photos, a good deal, and a link to your primary website that they click to see more items. 5. Take advantage of your forum presence. We’re not talking about simply inserting links to your website in the forums. If you simply do so and then not engage in any conversation, you will only get yourself banned. A healthy forum presence means actually engaging in conversations and having the genuine intention to help people out. Search the forums for topics that are related to what you are offering, drop tips and recommendations, and then direct the audience to your website. It’s a slow process, but it will get you a solid and unwavering following if you play your cards right. It’s also a great venue to meet people who will be more likely to share your website to others for free. 6. Leverage word-of-mouth through social reviews. One way to gain valuable insight and trust for your products and website is to post social reviews. Check out review apps that encourage buyers to leave reviews of the products they buy after purchasing and apply it to your own site. You don’t even have to reach out to your clients one by one because this app automates the process. These reviews will help drive traffic to your page because they are fresh content. The more people visit your site, the more likely they are to actually buy. 7. Align your content with a topic that’s currently trending. You can expand your target market by aligning your posts to topics that are currently relevant or trending. Pay attention to the news and hashtag trends and you will likely see an opportunity to add to the conversation and subtly market your products and services. For example, at the height of the Pokemon Go craze, many merchants creatively inserted their brands into a hunt and, as a result, made themselves more recognizable to would-be buyers. 8. Create interactive content, like contests and quizzes. Quizzes and contests are popular all over the Internet and are a great way to get your target market engaged and interested in your products. If they are not buying now, that’s all right. Quiz takers are often triggered to post their test results publicly, thus giving you a chance to show off your brand without really having to pay for advertising. Fun activities also build better brand recall, so they are more likely to buy the next time they see you online. The main key to getting people to visit your online shop is to build engagement and interest. The more you enjoin your market to participate, the more likely they are to have a look, browse around, and eventually buy. Maintaining an online shop does not end when you launch the site. It requires conscious and constant effort on your end to ensure that it stays relevant and popular.